You can enjoy our mountain biking program as either a regular camper or, if you're staying at least 2 weeks, can't get enough riding and want to improve your technique, through our Mountain Bike Program Track. So whether you’re interested in going on just a couple rides, or you can't get enough riding, there's a program for you! The first week is dedicated to getting your legs. You'll learn mountain bike riding techniques for a variety of conditions, from dirt roads to steep single track, from sandy conditions to rocky and technical courses. You'll also learn trail etiquette, how ride with respect for nature and other people. And you'll learn some basic maintenance and emergency repair. But let's not forget the riding! You'll start out with easy trails so you can get used to the altitude and the bike, and we get a chance to see how you do. You'll then progress to intermediate trails, which are longer, steeper, and may have some short uphill stretches. The second week we ride, and ride, and ride! 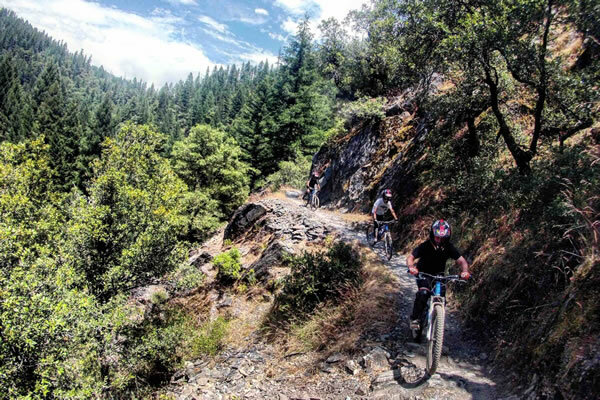 We'll have the choice of many of the epics, including Butcher Creek Trail (used for the famous Downieville Downhill Classic race), Pauly Creek, Mills Peak, and Stampede Reservoir. These are longer trails, up to 14 miles (22 kilometers) of mostly single-track, and some with descents of up to 4,000 feet (1400 meters)! You'll see amazing country and be treated to one of the best swimming holes we know of, complete with its own natural waterfall slide! But even if you're not able to attend for 2 or more weeks, or you just want to go on a couple of rides, that's no problem. 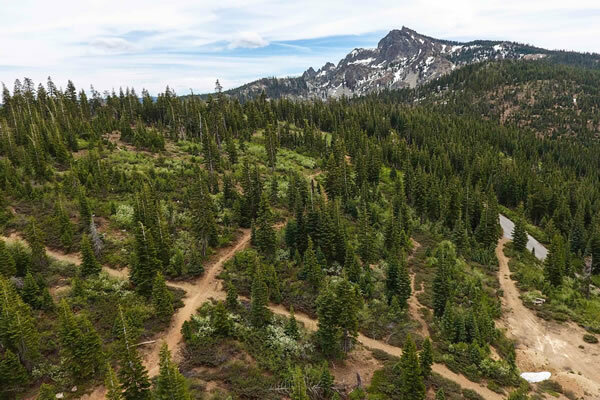 You'll be able to go on all the rides that lead up to the epics, plus you'll have the opportunity to ride the Butcher Creek Trail (assuming you're up for it!). 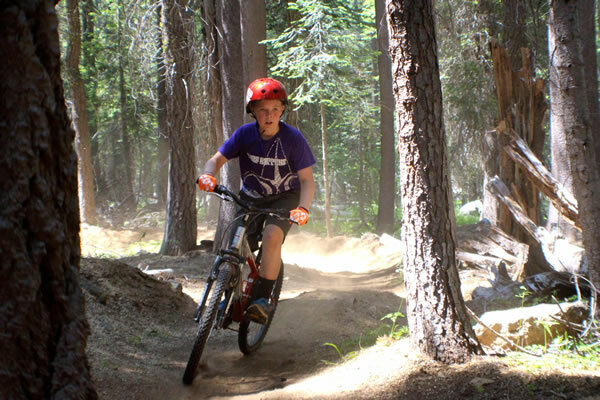 Space is limited, however, and preference is given to those enrolled in the Mountain Bike Program Track. The summer camp provides all the equipment you will need. However, if you would like to bring your own equipment you are welcome to do so. Mountain biking perhaps best illustrates the Camp's Challenge-by-Choice philosophy. You can choose to ride less demanding trails, or progress to more challenging rides all the way up to our most challenging ride. It's entirely up to you. You will get all the encouragement and guidance you need without being forced or compelled to go on a ride. We're just happy to have you join us! 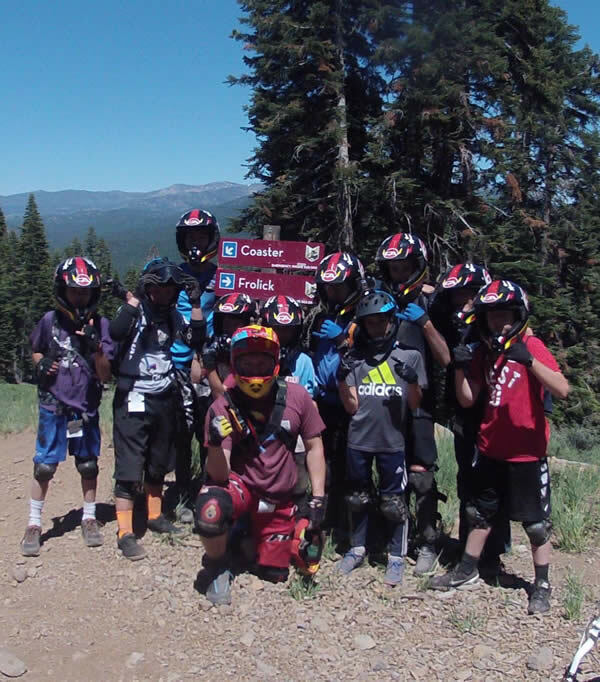 Even if you're not enrolled in the Mountain Bike Program Track, you'll start out with a clinic for a quick review of the basics, including bike inspection, gear changing, braking, seat adjustment, and safe-riding rules. 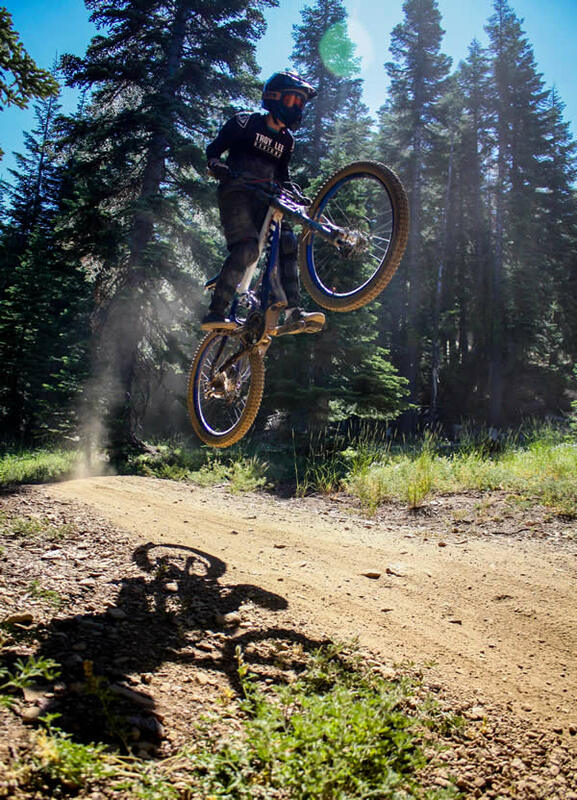 On the trail, you'll also cover more advanced riding techniques, such as seat adjustment for maximum power when going up hill or for maintaining balance when descending steep trails, body positioning for balance, braking on steep trails, threading rock studded technical trails, "reading" a trail and riding different terrain, and passing/getting passed on trails. Riding etiquette with an eye to minimizing trail impact is another important component of the program. Your first ride will be in Lincoln Valley where the Camp is located. It is a gently sloping valley that is heavily forested and has a couple of streams. It provides a great warm up to help you get used to the elevation (approximately 6,500 feet or 2,100 meters). The trails are generally fire roads and old logging roads. This is our favorite intermediate ride. It consists of a single track trail of 2-3 miles (4-5 kilometers) round trip and is an excellent introduction to trail riding. It follows a dirt trail with a moderate slope and very little technical terrain along a very pretty creek. This is our preeminent ride. 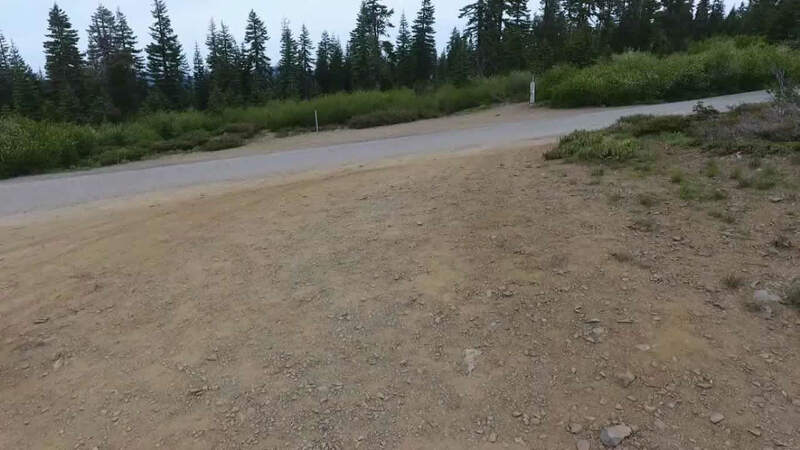 It follows the same trail that the pros ride on the world famous Downieville Downhill Classic mountain bike race. You have to earn this one by demonstrating sufficient skill and the ability to follow directions. The shuttle will drop you off on Packer Saddle at about 7,200 feet (2,400 meters), on the shoulder of the Sierra Buttes. You'll then descend approximately 4,000 vertical feet (1,400 meters) over 14 miles (22 kilometers), most of which is single track trail. Over the entire trail, there is less than 1/4 mile (1/2 kilometer) of uphill. You'll ride along beautiful rivers and through splendid forests. The trail ends in Downieville, a delightful old Gold Rush town that lost to Sacramento in becoming California's state capitol by just 10 votes in 1852, where the shuttle will pick you up. Packer Saddle Loops is situated at the top of the Butcher Creek Trail. It is about a mile-long section of single-track, switchback loops, where riders get the thrill of powering through back-to-back banked turns. And then we ride it again! And again! 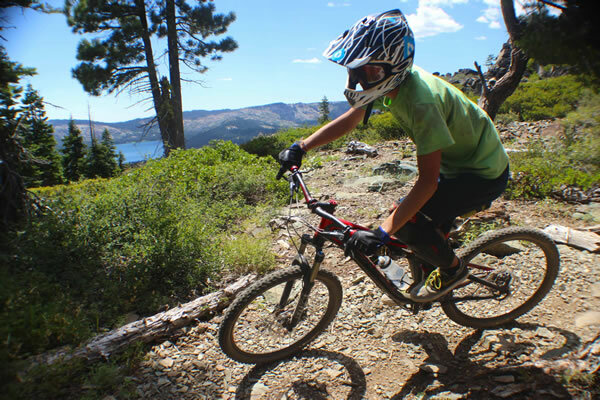 One-day trip to Northstar’s bike park is included when you enroll in the Mountain Bike Specialized Program Track. 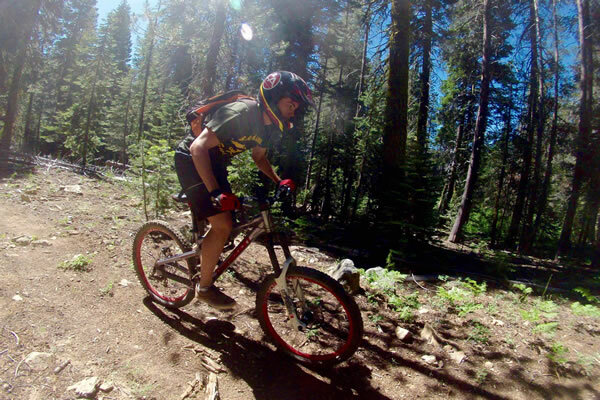 Northstar is northern California's largest mountain bike park. It has miles and miles of trails for all levels, from green trails to double black diamond trails. Download the trail map.